But the main part of the Sherford development sits within South Hams District Council and the meeting to decide on the housebuilders’ proposed changes in South Hams is at 10am this Wednesday 2nd August at the Council Chamber, Follaton House, Plymouth Road, Totnes, TQ9 5NE. My colleague Ben Bolgar will be attending and speaking at the meeting on Wednesday. We welcome any support at the meeting and through your outlets that you are happy to provide. July 21 2015 Yealm Community Energy is inviting local people to a public consultation Yealm Community Energy is inviting local people to a public consultation to find out more about its plans for a community-owned solar farm at Creacombe, near Yealmpton, Plymouth, PL8 2JA. The consultation will be held on Thursday 30th July from 4 pm to 8 pm at Yealmpton Community and Resource Centre, Stray Park, Yealmpton, Plymouth, Devon PL8 2HF, and will provide an opportunity for local people and councillors to view the proposals and provide feedback, before a planning application is submitted. Yealm Community Energy will also have a stall at the Yealmpton Show at Kitley on Wednesday 29th July with more information about solar energy, solar-inspired games for children, and how local people will be able to invest in the solar farm. The proposed development is for a 5 Mega Watt peak (MWp) solar farm that would generate enough renewable electricity to supply the equivalent of 1,500 typical homes. The project is being developed by Yealm Community Energy in partnership with Gnaton Farms who own the land where the solar farm would be built. If planning is approved, Yealm Community Energy will launch a community share offer to fund the building of the project, with local people able to invest from a low minimum stake, typically £50. While the details are yet to be decided, similar projects tend to offer an annual return of 6% to 7% over 25 years, which would normally be eligible for Social Investment Tax Relief (SITR) or Enterprise Investment Scheme (EIS), boosting prospective returns for taxpayers. Surplus revenue from operating the solar farm will go into a community benefit fund for local projects to help tackle fuel poverty, support other community energy generation initiatives and promote greater sustainability and environmental benefits for the local community. If the community were to own all 5MW of the site, it is hoped that this would generate around £1 million over the 25-year lifetime of the project. Yealm Community Energy will also allocate £2,000 a year in funding to work with local primary and secondary schools and adult education colleges in the area to promote their understanding of climate change and renewable energy, with resources linked to the National Curriculum. Gnaton Farms is a family enterprise which has farmed the land for 38 years and already has an excellent track record on ecology and biodiversity, including sowing many hectares of wildflower meadows and restoring ancient orchards. The farm is part of Natural England’s Higher Level Stewardship scheme and has already given over 55 acres to meadows for bird food and nectar. The biodiversity improvements proposed for the solar farm include sowing species-rich grasses and wildflowers around the panels to build on this further. The land will also stay in agricultural use with sheep grazing during autumn and winter. The site is approximately 25 acres in area and is on Grade 3b farmland. The SHFoE AGM will be on Friday November 28th 2014, 7.30pm in the Methodist Church Hall Fore St., Totnes. The speaker will be Andy Rowell who will be talking about Fracking. 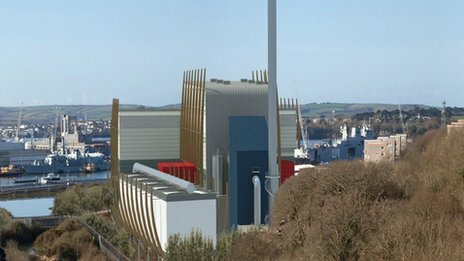 Leftover ash from Plymouth’s new waste-to-energy incinerator is to be shipped to the Netherlands for recycling. The firm behind the plant, MVV, had wanted to transport it to a site near Buckfastleigh, 18 miles (29km) away, but officials turned that plan down. The company is still trying to find a long-term solution closer to the incinerator. MVV Managing Director Paul Carey said the ash would be used for “landscaping”. He said the company was working on a proposal for a recycling plant in the South West of England. “In the short-term [the ash] will be taken to Holland and it will be recycled so we’ll achieve 95% recycling,” said Mr Carey. The next meeting will be on Friday March 21st 2014 at 7.30 Stephen’s House. Go to the contacts page for how to contact Stephen. Tuesday, April 15th, 10 am-1 pm. Tour of Tors. A chance to cycle between fifteen of south Dartmoor’s loveliest tors and hear the history and legends associated with them. Starts at Hemsworthy Gate near Haytor. Saturday, May 17th, 9.30 am-1.30 pm. The Call of the Cuckoo. Accompanied by wildlife guide Richard Hibbert we’ll cycle through beautiful scenery and listen out for cuckoos and skylarks, stopping to venture away from the bikes to see and hear more. Starts at Haytor Information Centre. Our website www.highdart.co.uk/electric-bikes has full information on these rides. We are also currently offering a special deal for small groups: book a half-day ride for 4 people by 31st March, and the fifth person rides for free. Our half-day tours start from a variety of locations and are led by a knowledgeable local guide. We’d very much appreciate any help you can give in spreading the word about our new small business. We really want to get more people out experiencing Dartmoor up close and away from their cars. It’s a great way to go – and good exercise too!